Fort Dupont Park: Washington, D.C.
Fort Dupont Park was one of several historic sites that defended Washington, D.C. from Confederate attack during the Civil War. Today, there are no remains of the actual fort, but the 376-acre site is one of the city’s largest parks and protects an important sub-watershed of the Anacostia River. Fort Dupont Park is a popular place for picnics, nature walks,, gardening, environmental education, music, skating, sports, and ranger led Civil War programs. 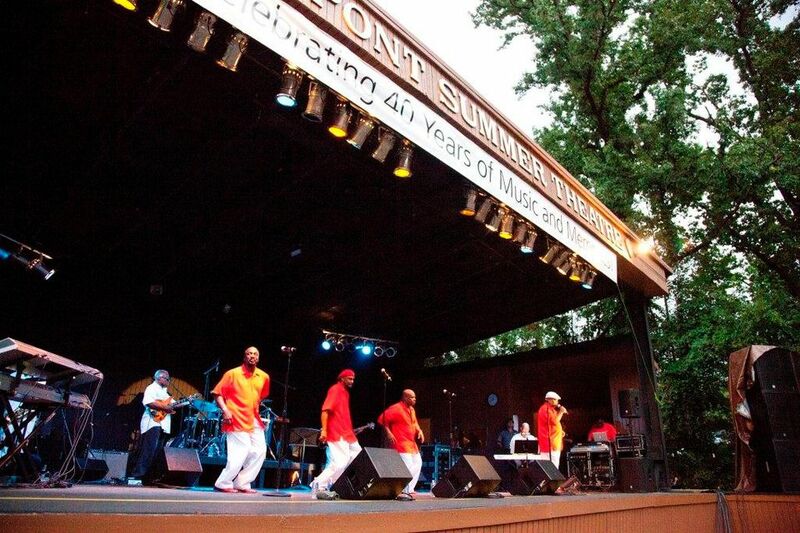 For more than 40 years, the park has hosted a summer concert series. There are about 10 miles of hiking and biking trails onsite. Fort Dupont Park is located in Southeast Washington, DC. It is southeast of I-295, north of Pennsylvania Ave., east of Branch Ave. and west of Ridge Rd. The concert stage is located along Fort Dupont Dr., just east of the intersection of Randle Circle and Minnesota Ave. SE. Parking is available in the park off of Minnesota Avenue at F St. and at the Fort Dupont Ice Arena at 3779 Ely Pl. SE. The free concerts begin at 6:00 p.m. Gates open at 5:30 p.m. Concerts are held rain or shine. Bring blankets or folding chairs, and a picnic dinner. All bags and coolers will be inspected prior to entry into the park. August 26, 2017. Movies on the Green. The Jungle Book 2016. Car Wash 41st Anniversary Screening. Hosted by DJ Lance Reynolds of WPFW 89.3 House of Soul. Please Note: Gates will open at 4:30 pm. Fort Dupont Park is one of the Civil War Defenses of Washington, a collection of National Park Service properties in and around Washington, D.C. Other forts have become state and city parks, in the area. Together they commemorate the defense of the capital during the American Civil War. Druing the war, the D.C. area had 68 major enclosed forts, as well as 93 unarmed batteries for field guns, and seven blockhouses surrounding the city These were Union forts, and the Confederacy never captured one. Most never came under enemy fire. These were used to house soldiers and store artillery and other supplies. The sites included in the Civil War Defenses of Washington include Forts Foote, Greble, Stanton, Ricketts, Davis, Dupont, Chaplin, Mahan, and Battery Carroll administered by National Capital Parks-East. Forts Bunker Hill, Totten, Slocum, Stevens, DeRussy, Reno, Bayard, Battery Kemble, and Battleground National Cemetery administered by Rock Creek Park. Fort Marcy is administered by George Washington Memorial Parkway.